Blackstrap molasses is known to a kind of thick, dark syrup. This syrup is a by-product made when sugar cane is processed to produce refined sugar. If the refined sugar seems to be unhealthy, the thick molasses has all the nutrients and minerals absorbed by the sugar cane and it is also considered extremely healthy for consumption. The molasses is high in calcium, iron, magnesium, manganese, potassium, copper, vitamin B6, and selenium (a crucial antioxidant). In addition, it is free of cholesterol and fat and has negligible amounts of sodium. Therefore, there are a lot of health benefits of blackstrap molasses that you should know to take care of your health. In fact, diabetic people may also consume it. Unlike the refined sugar, unsulfured molasses contains a moderate glycemic, making it a great sugar alternative for diabetics and those who want to avoid increasing the blood sugar. However, make sure that you should have it in moderate amounts, not more than one tablespoon per day. One of the best ways to consume blackstrap molasses as a good supplement to reap its health benefits is to combine 1 or 2 tablespoons of this in 1 cup of lukewarm water and then drink it. So, today VKool will show you the top 10 health benefits of blackstrap molasses. Continue reading this article to know more. One of the leading health benefits of blackstrap molasses is known to the perfect solution for menstruation-related problems. Some essential minerals (such as calcium and magnesium) in blackstrap molasses help to prevent blood clotting & soothe the muscles of your uterine walls. This will eventually aid in getting relief from menstrual cramps and maintaining the health of your uterine muscles. In addition, the iron present in it helps to reduce the chance of iron-deficiency anemia owing to blood loss that is especially common in women struggling with the regularity of the menstrual periods. 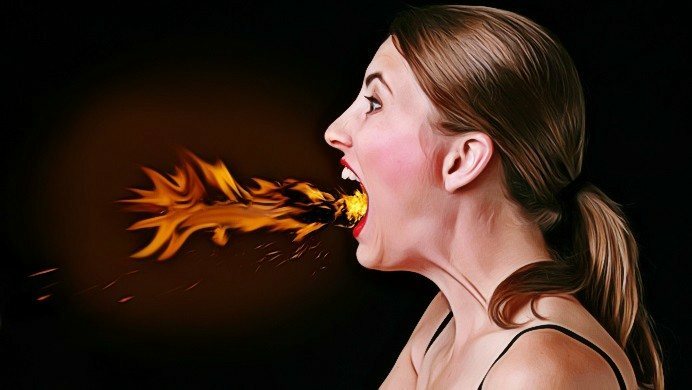 Drinking one cup of lukewarm water mixed with one tablespoon of blackstrap molasses every day may even prevent the premenstrual symptoms, such as bloating, water retention, breast tenderness, acne, irritability, and depression. It may also help to keep heavy bleeding under control. One of other health benefits of blackstrap molasses is to maintain & improve the heart health. Blackstrap molasses is considered an easy solution to control palpitations, decrease high blood pressure, and reduce high cholesterol levels and so on to improve the heart health. Being high in potassium, calcium, magnesium, and iron, it is very useful in preventing these deficiencies in your body that may cause heart palpitations. The potassium present in it also reduces the effects of sodium, known as a huge factor to hypertension, thus this syrup is very beneficial for people who suffer from high blood pressure. In addition, the calcium and magnesium present in it aid in reducing both diastolic and systolic blood pressure. According to a study published in Hypertension in 1999, a deficiency of magnesium induces an elevation of blood pressure. Besides, the vitamin B6 found in it is also great for heart health because it helps to treat blood clotting. This will aid in reducing the risk of development of strokes and some other cardiovascular problems. Blackstrap molasses may also prevent and treat some different kinds of cancer. The selenium present in blackstrap molasses is an essential mineral that plays a chief role in protecting the cells against cancer. Selenium is known to a crucial part of the enzymes, which fight free radicals attacking healthy cells and causing cancer. In addition, it also helps to recycle antioxidants in your body. These antioxidants reduce the risk of getting cancer by keeping free radicals from damaging the cells. Free radicals in your body are considered as one of the main causes of cancer because they cause the damage to major components of cells, such as DNA, cell membranes, and proteins. According to a study published in an American journal in 2019, dark and blackstrap molasses has the highest ferric-reducing capability of plasma, which is used to estimate the total antioxidant capacity of substitutes of refined sugar. Selenium also helps to protect your body against contaminants, such as mercury, silver, and cadmium, speed up the elimination of the cancer cells, and slow the growth of a tumor. Just one tablespoon of dark blackstrap molasses is enough for you to care for your health. This is one of other health benefits of blackstrap molasses that you should not skip. It contains a great amount of calcium that aids in forming and maintaining healthy and strong bones and muscles. In fact, a low level of calcium in the body may cause low bone density as well as early bone loss. So, just one tablespoon of dark blackstrap molasses will give over 10 percent of the daily calcium needs of your body. Apart from calcium, the copper present in blackstrap molasses also plays a chief role in improving the health of bones, healing broken bones, & lowering the chance of brittle and weak bones. It may also support a proper balance between acid and alkaline in your body. This is very beneficial for your bone health. In addition to bone health, blackstrap molasses supports the muscle health. The magnesium present in it is very important for the health of your muscles. It also stimulates the reuptake of calcium that can aid in maintaining strong muscles and preventing cramps. Calcium is also useful in providing energy to your muscles. Combining with daily exercise, remember to add 1 to 2 tablespoons of dark blackstrap molasses to your daily diet. Maintaining hair health is another of leading benefits of blackstrap molasses that you should add to your hair care routine. It is comprised of iron, which may fight the deficiency of iron, one of the main reasons for hair loss. According to a study published in a Korean journal in 2019, iron can play a crucial part in hair loss, particularly hair loss in premenopausal women. And the early screening of iron status can help for patients with hair loss. It also has a great amount of magnesium that can help to prevent hair, nail breakage and hair loss. The copper present in it is known to an important mineral whose peptides aid in rebuilding the skin structure supporting a healthy hair. Daily consumption of blackstrap molasses may result in hair regrowth, an improved hair quality, and a restoration of the original color of your hair. Along with its consumption, you may also apply blackstrap molasses to your hair. Firstly, mix one tablespoon of dark blackstrap molasses in one cup of warm water. Then, apply it to your hair & scalp and allow it to stand for about 15 minutes. Finally, wash your hair with a mild shampoo as usual. Repeat this solution for 1 or 2 times per week. Another of health benefits of blackstrap molasses is to prevent and treat anemia. It is considered a great nutritional powerhouse for people who suffer from anemia caused due to the deficiency of iron. It contains a great source of iron that is very useful in increasing the production of your red blood cells delivering oxygen from the lungs to the remaining parts of your body. Because the cells and tissues throughout the body get deprived of oxygen, it may cause some anemia symptoms such as headaches, tiredness, dizziness, weakness, and shortness of breath. Just one tablespoon of blackstrap molasses will give about 15 percent of the daily needs of iron. Mix one tablespoon of dark blackstrap molasses in one cup of hot milk or water. Drink this for one or two times daily. Another option, mix two teaspoons each of apple cider vinegar and blackstrap molasses in one cup of clean water. Drink this mixture once daily. 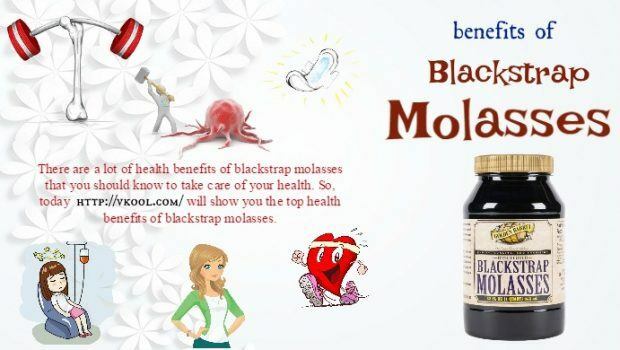 Blackstrap molasses is a natural laxative that acts as a stool softener to aid in reducing constipation and improving the quality and regularity of the bowel movements. In a point of fact, this syrup is better than many other chemical-based laxatives on the market. The great amounts of magnesium present in it relax your muscles and draw water into the stool, which makes it easier to pass. According to a study in the Pediatric Emergency Care in 2019, both sodium phosphate enemas and milk-and-molasses enemas are safe and effective for getting rid of constipation, based on an analysis of medical notes of patients presenting to one pediatric emergency department. Apart from constipation, it may also help to deal with other digestive problems, such as stomachaches, stomach ulcers, irritable bowel syndrome, and diarrhea. Mix one to two teaspoons of dark blackstrap molasses in one cup of lukewarm water. Drink it every day before going to sleep to get regularity of the bowel movements in the morning. Another option, mix two tablespoons of dark blackstrap molasses with two tablespoons of peanut butter and eat this mixture in the morning. To reduce stress and improve the mood, experts recommend consuming foods rich in B vitamins. Because blackstrap molasses is high in B vitamins, it will help to promote a proper functioning of your brain & nervous system, promote relaxation, and fight stress & fatigue. Especially, the vitamin B6 present in it increases the levels of serotonin in your brain. Serotonin is a key neurotransmitter that will influence the brain cells associated with mood, sleep, learning, and memory. In a point of fact, a deficiency of vitamin B6 in the body is considered one of the main causes of irritability, apathy, and depression. According to a study in the Psychotherapy & Psychosomatics in 2004, low vitamin B6 levels can cause depression because the vitamin will contribute to the serotonin-tryptophan pathway. Apart from B vitamins, the magnesium and calcium present in blackstrap molasses also aid in combating stress & anxiety. So, whenever you are under stress, consume a spoon of blackstrap molasses combined with a cup of milk or smoothie as a comfortable food. Another of health benefits of blackstrap molasses is to boost up your stamina & energy level. It provides a boost of temporary energy by giving carbohydrates that may be fast converted into energy in your body. Moreover, it may also aid the production of energy by replenishing the storage of iron in the body. In a point of fact, tiredness and fatigue are common in those who have a low level of iron. Iron is very important for maintaining optimal amounts of hemoglobin, which is the chemical carrying oxygen in the bloodstream. A lack of oxygen in your body causes constant tiredness and fatigue. In addition, the magnesium present in it also plays a chief role in breaking glucose into energy, which will boost your metabolism and help to fight weakness and fatigue. Even a mild lack of magnesium may also cause fatigue and weakness. Besides, the vitamin B6 found in it plays a great role in producing energy. When you feel low in energy, pour one tablespoon of dark blackstrap molasses in one glass of lukewarm water or milk. Consume this combination for once or twice daily in order to boost up stamina. Blackstrap molasses is very good for getting rid of insomnia because it can promote sleep. It is high in calcium that helps the brain to utilize the amino acid tryptophan, which in turn aids in producing melatonin (a sleep-inducing substance). In addition, it is also a high source of magnesium, another mineral that acts as a natural sedative. Moreover, blackstrap molasses is useful in reducing restless legs syndrome that is often caused due to a deficiency of magnesium, folate, and iron. Blackstrap molasses gives all these nutrients to the body, thus getting relief from the sleeping disorder effectively. Try to consume blackstrap molasses in a manner that goes pass your teeth. Use blackstrap molasses in order to sweeten food without the side effects of sugar and other artificial sweeteners. Always get blackstrap molasses that is unsulfured and organic. Unsulfured blackstrap molasses does not contain sulfur dioxide and cannot cause any allergic reaction. To get more articles linked to health matters, go to the main Heath page. After studying this writing of top 10 health benefits of blackstrap molasses, hope that it can help you to know advantages of this healthy sugar substitute. If you know other benefits of blackstrap molasses, please share with us by commenting on this article.